After six weeks of work by the many participating artists, the completed entries were sent to our distinguished judging panel to arrive at the ten finalists. We then moved into a public voting phase where the community was able to weigh in via Facebook. Now at last we have our winners! Each is listed below, along with information about the entry and the prize that will be awarded. Please join us at ZBrushCentral to congratulate each of these outstanding artists! "I found this piece's final image very funny. It has character, nicely executed models and a lot of humor imbued into it. Well done!" "Love the idea and great work sharing the techniques in the thread! I believe the render and shaders could use some work but amazing piece overall. Love the face and clothes!" "Fun concept with a classic rendition of Frank. Great attention to detail and good workflow. A crazy amount of work well placed on this concept." In addition to the three that won the public vote, there were seven other finalists as selected by our panel of industry judges. Their work was exemplary, and each will receive a Pixologic Swag Bag. Congratulations to everyone who made it into the final round of judging! Bring your projects to life with world-class 100-micron layer resolution and an industry-leading 410 cubic inch build volume. The MakerBot Replicator 2 Desktop 3D Printer is a fast, easy and affordable tool for making professional-quality models with surfaces smooth to the touch that don't need sanding, finishing, or post-production. Includes a 1 lb. spool of Natural PLA filament. The MakerBot Replicator 2 is exclusively compatible with MakerBot PLA filament. Experience the power of a high-performance Cintiq in a compact, slim design. The Cintiq 13HD provides artists, designers, illustrators and photographers a premium, pen-on-screen experience on a 13.3”, high-resolution, HD (1920x1080) display. The Cintiq 13HD features 4 customizable application-specific ExpressKeys and a pen with 2048 levels of pressure. Your one stop shop for Digital Printing, Prototype Painting and Professional Molding &apm; Casting for the creative industries. We are a small studio with a broad range of experience who cater to some of the industries top companies such as Hasbro, D.C. Comics, Diamond Select, Mattel, Fisher- Price, Jakks Pacific, Blizzard, Whirley Drinks, Wiz Kids & many more. Winner will take home a 12 inch print of their final piece. The 3D print will also be completely painted by the talented team at Jason Wires Productions. Print will include a simple disc base only. 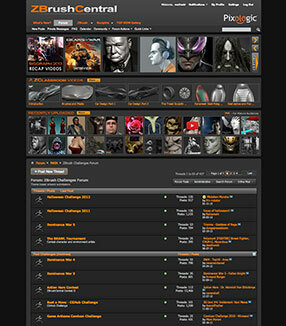 Your entry must be in the form of a thread within the ZBrushCentral forum that has been created for this contest. The title of your thread must include the title of the movie you have chosen as your inspiration. This is a Work-In-Progress (WIP) challenge. We encourage actively participate in the contest by Including WIP images, explanations of your techniques, interaction with people who comment in your thread, etc. A significant portion of the judging will be on your ZBrush skill and involvement; it is worth reiterating that it's best to include as many WIP images throughout the contest! How well the final entry expresses the contest's theme. If final submission does not fit theme then no voting will take place for the submission. Involvement in other contestants' threads, including overall helpfulness. Involvement in the contestant's own thread, including sharing of WIP images and techniques, as well as interaction with people commenting in the thread. 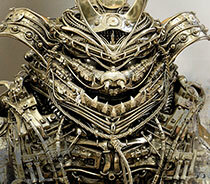 Overall use of ZBrush features: Both variety of features used and how well each feature was utilized. Quality of the final image. Submission must be a completed image (not a WIP stage). 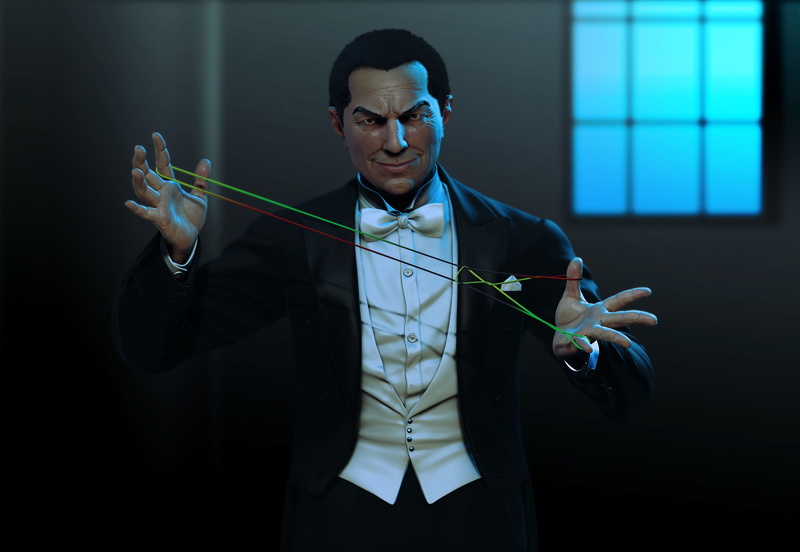 More points will be received by images showing a full scene rather than simply a finished model. 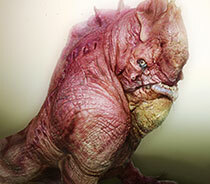 At least one final posed image that is colored, sculpted and rendered completely in ZBrush. Minimum image dimensions are 1,500 x 1,500 pixels and a third party program may only be used for compositing the final render. Rafael is currently working as a Supervisor at Sony San Diego. Previously he worked at Bioware where he contributed to the Mass Effect and Dragon Age titles. He also worked as a freelance artist for more than 15 studios and 70 projects, including Cinematic Production, Game Art, TV, Printed Advertising and Sculpture and Toy Design. 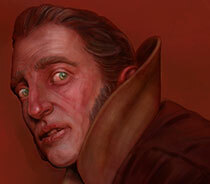 Ian Joyner is a character artist specializing in design and development for film and games. For over 10 years he has worked on next-gen games, top feature films, music videos and product output/rapid prototyping. For the past few years he has been a senior character designer/concept artist at Legacy FX, (formerly Stan Winston studios), doing character design and creation on some of the biggest movies of 2009 and beyond. Meats Meier is an artist and animator living in Los Angeles. He has been working as a digital artist for over 15 years creating video games, movies, and music videos. He was named a 'Maya Master', Lectured around the world, and taught the first ZBrush class at the Gnomon School of Visual Effects. Meats has created concert animations for Roger Waters, Smashing Pumpkins, TOOL, Puscifer, and many others. Neville Page is a concept designer in the entertainment industry. He served as the lead creature/character designer on 2009's Star Trek. He was previously the lead creature designer on the 2008 film Cloverfield, Lead Creature designer for James Cameron's AVATAR, and has just finished the specialty costume and Helmet designs for Tron Legacy. He is currently working on Green Lantern and Spiderman 4. 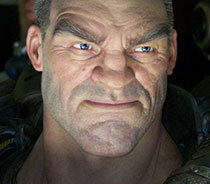 Scott Patton's unique blend of 2D and 3D design has made him one of the film industries premiere character designers. With a 17 year background as a make-up effects designer/sculptor, he has worked on such diverse films as "The Green Mile," and "Amistad" to "Sin City" and "The Chronicles of Narnia". 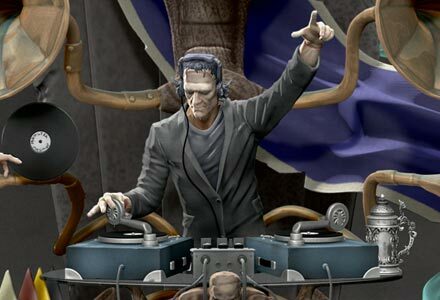 Since 2005 he has worked as a Character designer using a 3D toolset to bringing his "practical" eye to digital design. You can see his designs such films as "Avatar"," John Carter" "Thor", "Cowboys and Aliens" and many more. With a commitment to driving the digital entertainment industry forward, Zack Petroc continues to develop new techniques that redefine how digital tools impact the art and design of storytelling. In 2005 he opened Zack Petroc Studios to focus on the development of unique new content and one of a kind training tools. The Studio has worked on the development of several feature films and video games with a recent client list that includes Disney Interactive, Scott Free Productions, SCEA, Walt Disney Imagineering, Snoot Entertainment, Hasbro, and Paramount Pictures. 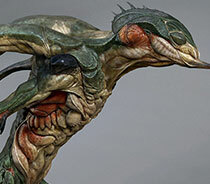 Brian Wade is a Special Makeup Effects Artist and Sculptor, specializing in Character and Creature design. With 33 years experience in designing and creating unique characters and creatures for the Motion Picture, Television, Video Game, and Toy Industries. He has created a multitude of iconic Film and Television designs over his career for such films as John Carpenter's -The Thing, The Terminator, Starman, Dreamscape, Enemy Mine, The Blob, Gremlins 2, Buffy The Vampire Slayer, Blade, The X-Files, Stuart Little, Van Helsing, The Omen, and the soon to be released, Enders Game. The initial phase of judging will be by our panel of industry experts and professionals. Some of these people actually sculpted the characters found in the movies! Judges will be given November 16th through November 24th, 2013, to score each contestant's entry and the top 10 Finalists will be determined based on their total scores. If the 10th place score is a tie between multiple entries, all entries with this score will be included in the Finalists. This means that it will be possible for more than 10 entries to be included in Phase 2. The 10 finalists will be featured on the Pixologic Facebook page where the community will vote for winner based upon number of Likes each image receives before 11:59PM (Pacific Time) on Monday December 2nd, 2013. The entry that receives the most Facebook Likes will be declared the winner of the 2013 Halloween Contest. In the case of a tie for this phase, the winner will be determined by which tied entry received the highest judges' score in Phase 1. If that score was tied as well, the winner will be selected by the Pixologic staff. Panel of Judges will vote on final submissions Saturday, November 16th, 2013 through Sunday, November 24th, 2013. Community voting on Facebook will be Monday, November 25th, 2013 through 11:59PM Monday, December 2nd, 2013. No team entries are permitted. 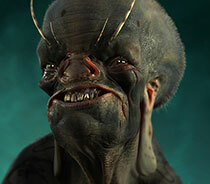 A properly licensed copy of ZBrush must be used and proof of ownership must be provided to Pixologic upon request. The license may be owned by the entrant, entrant's school or company, or a member of the entrant's immediate family. Employees of sponsors may participate in the WIP phase of the challenge, but are not eligible for the contest. Such participation must be labeled as "Non-Entry" in each post in which a WIP image is shown. 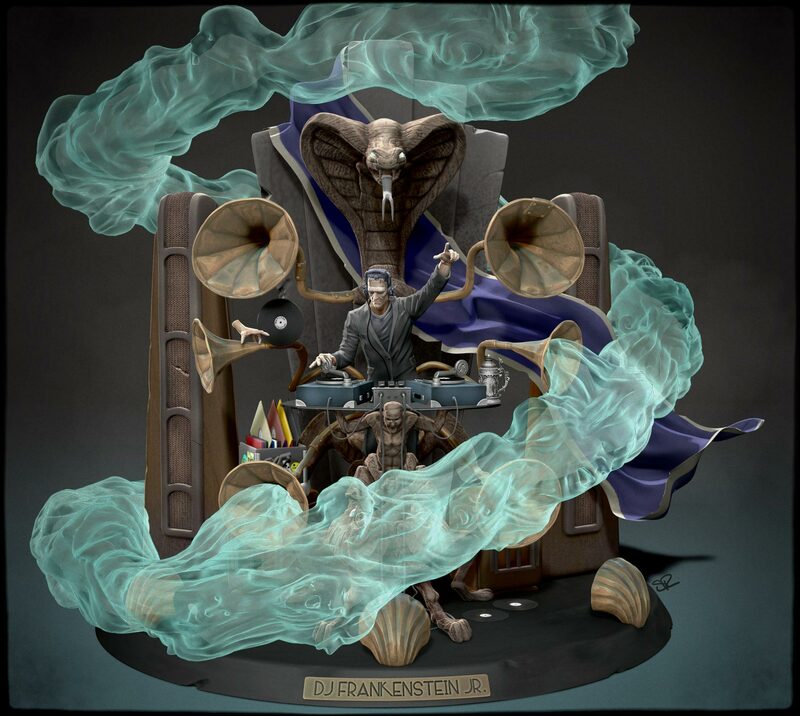 This is a ZBrush contest and emphasis will be placed by the judging panel on the use of ZBrush to create all assets produced for this contest. The entrant is encouraged to show within the WIP thread the original creation of all assets. If the entrant uses assets from a third party or assets created prior to the start of this contest, this fact must be disclosed at the point in the WIP thread where the asset is first introduced. Use of any asset that would infringe upon a copyright is prohibited. Any character deemed to be the same or similar (in whole or in part) to one currently published by yourself or any other artist will be disqualified. Any image deemed to contain content that depicts explicit acts that are overtly violent, sexual, cruel or brutal will be disqualified. Such entries may, at Pixologic's sole discretion, be closed during the WIP phases of the contest. The challenge runs seven (7) weeks, from Tuesday October 2nd, 2013 through 11:59PM (PST) on Friday November 15th, 2013. The final post for your entry must be made no later than 11:59PM (PST) on Friday November 15th, 2013. No late entries will be accepted. Artists may enter the contest at any time before its final deadline. Pixologic reminds all entrants that community participation is 40% of the total possible score. 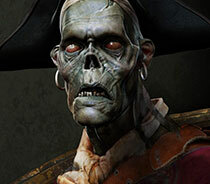 Additionally, a late entry will have less opportunity to demonstrate overall ZBrush technique during the contest. The later the entry, the more active the entrant will need to be to build a competitive score. Semi-finalist judging will be by an independent panel of judges from the industry of professional ZBrush artists and make-up special effects. Panelist judging runs for 9 days: Saturday, November 16th, 2013 through Sunday, November 24th, 2013. These individual criterion scores will be totaled for an aggregate score for each entry. The aggregate scores from each judge will be totaled to arrive at a final aggregate score for each entry. The ten entries with the highest aggregate scores will move on to the finalist phase. Pixologic reserves the right at its sole discretion to disqualify a judge if it is determined that the judge did not act impartially. In this situation, all of the disqualified judge's scores will be discarded, with none counting toward the final aggregate score. 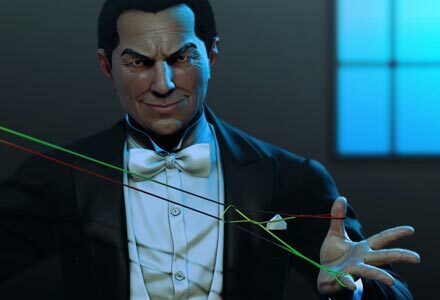 If a finalist is determined not to have a valid ZBrush license his entry will be disqualified and the next highest final aggregate score will be given a finalist slot. Only the entries of the ten finalists will be made public; their individual scores will not be disclosed. Finalist judging runs for 8 days: Monday, November 25th, 2013 through 11:59PM (PST) Monday, December 2nd, 2013. Finalist judging will be by community vote. All voting will take place on Pixologic's Facebook page. Each contestant's final image will be posted individually on the Pixologic Facebook home page so that each image can receive individual Likes. Voting will be by poll, with one Like vote per image. At the end of the voting period, the winners will be determined by highest number of Like votes from the community. In the event of a tie in the finalist voting, the aggregate scores from the semi-final judging phase will be used to break the tie. Winners will be announced on Tuesday, December 3rd, 2013. All dates are based on the U.S. Pacific Time zone. Entry and voting deadlines are at 11:59 pm on the date in question. The sponsors of this contest may use final or winning artwork for marketing purposes in the context of the challenge, and agree to clearly credit the artist if any such artwork is used. All entries are the property of the respective artists. Pixologic may use submitted artwork for the purpose of promoting this or future contests. If any artist's work is used in this manner, the artist will be credited. Pixologic reserves the right at its sole discretion to disqualify any entry that does not adhere to the spirit of ZBrushCentral and these rules. Pixologic also reserves the right to suspend, adjust the dates, modify or cancel the contest, including these rules, in any manner and at its sole discretion. This may be done with or without prior notice. In the event of a dispute, ruling will be made by Pixologic legal counsel based upon the rules laid out herein. Legal counsel's ruling will be final. If you do not agree with any of the above terms and conditions, please do not enter the contest.